Schedule We are available on flexible hours, including for last minute booking. Strict schedule, no flexibility. Maids Our trained, vetted maids form a huge team that is ready to work for you at any time of the day and night. Usually small teams, not sufficient for full coverage of the area. Prices Flexible, affordable and subject to attractive deals and discounts. Fixed prices, higher than the ones offered by us. You should notify our maids whether any objects might require special attention. Such items might be antiques, expensive furniture or art pieces. We have no problem dusting and cleaning them as long as you are fine with it. We should also be made aware if a family member has any form of allergies. The presence of pets is also an important piece of information prior to us beginning your Hermosa house cleaning. Many households have rules regarding rooms pets are allowed to enter or furniture on which they are allowed to climb. You will be able to choose among the typical 60639 cleaning services but at the same time we are able to give you a helping hand regarding some more unconventional or specific cleaning methods. Our maids will vacuum clean your home as this procedure is pretty effective on carpets and floors. 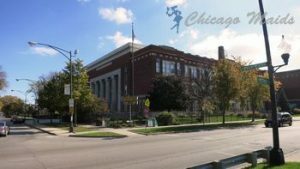 Hermosa is an interesting district of Chicago where the Kelvyn Park is located. Interestingly enough this is also the birthplace of Walt Disney. A local pub called The Levee Bar is pretty popular as well as Armitage Ave. which is a retail area.